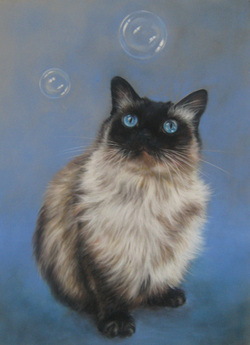 Rose Baggs is an award winning painter who specializes in Pets and Wildlife Art. She also paints still lifes and Landscapes. Working in pastels, her style is Contemporary realism. She also works with Oils, Acrylics and graphite/charcoal. She has exhibited in nationally juried Art Competitions.